Sophie studied at The Royal Academy of Dramatic Art in London. She has been with the Ensemble since 2013 and was a key part of the development of the company's piece People of the Eye. She has also worked in television, including starring as the character Cass in two episodes of the TV series Doctor Who and a series regular on the Deaf sitcom Small World on BSL Zone. Her theatrical experience outside the Ensemble includes touring with the Birmingham Rep's The Government Inspector and working with theatres including the Lyric Theatre and the National Theatre. She starred in the award winning short film Retreat, with awards including Best Actress – Cinedeaf Festival (2013) and Best Actress – Turquoise Australia Festival (2013). Co-founder and Director of the DH Ensemble, Jennifer has directed each of the Ensemble's projects to date. Other theatre credits include companies such as The Tron Theatre, Glasgow, The Byre Theatre, St Andrews, Poorboy Theatre, Bard In The Botanics, Glasgow Rep and The Royal Shakespeare Company Studio. Film and TV include Ickleflix Production 'Fast Romance' and Belle and Sebastian's music video 'White Collar Boy'. She has worked extensively with Solar Bear Theatre Company and Youth Arts Scotland/National Theatre of Scotland. She has directed several works with Solar Bear’s Deaf Youth Theatre including a collaboration with electronic duo, Tigerstyle and The Arches. She completed her Masters (with Distinction) in Advanced Theatre Practice at The Royal Central School of Speech and Drama. 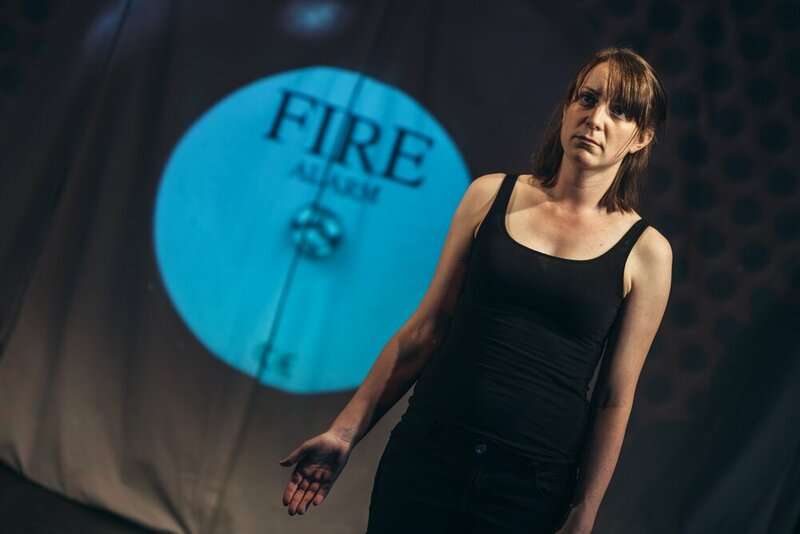 Erin joined the Ensemble at the end of 2014 to write and perform in the autobiographical piece People of the Eye which has toured to venues including the Yard Theatre in London and Northern Stage at Summerhall at the Edinburgh Fringe 2016. Erin studied acting at the Stella Adler Studio of Acting in New York as well as in New Zealand and Australia. She ran her own company Unicorn Productions in Melbourne. She has performed venues across the UK including the Bristol Old Vic, Battersea Arts Centre, The Bush, Unity Theatre Liverpool and Contact Manchester; appeared in the feature film The Ballad of Des and Mo; and starred in the short film Break which won the Gold Award at Houston Film Festival and screened at Hollyshorts Festival in Hollywood. She is also a producer with a postgraduate degree in Arts Management. Stephen also joined the Ensemble in 2013. He is an actor from East London with over five years' experience of working and touring with professional production companies. He incorporates signing, speaking, devising and sign songs in his acting work. Most recently, Stephen was involved in The Government inspector, The Winter's Tale and Hansel & Gretel. He has also performed in musicals like Threepenny Opera and Reasons To Be Cheerful, in Shakespeare's Love Labour's Lost and in children's outdoor show The Iron Man. In addition to acting, Stephen makes films, writes plays and facilitates workshops.